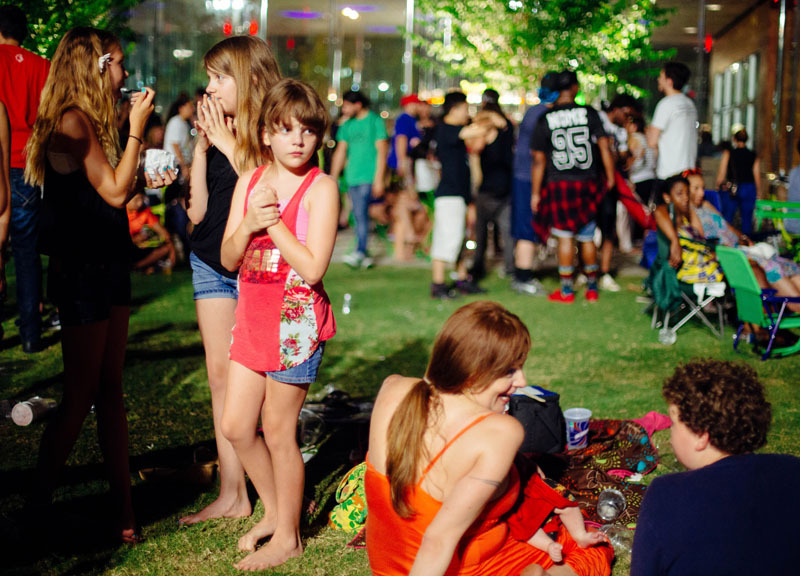 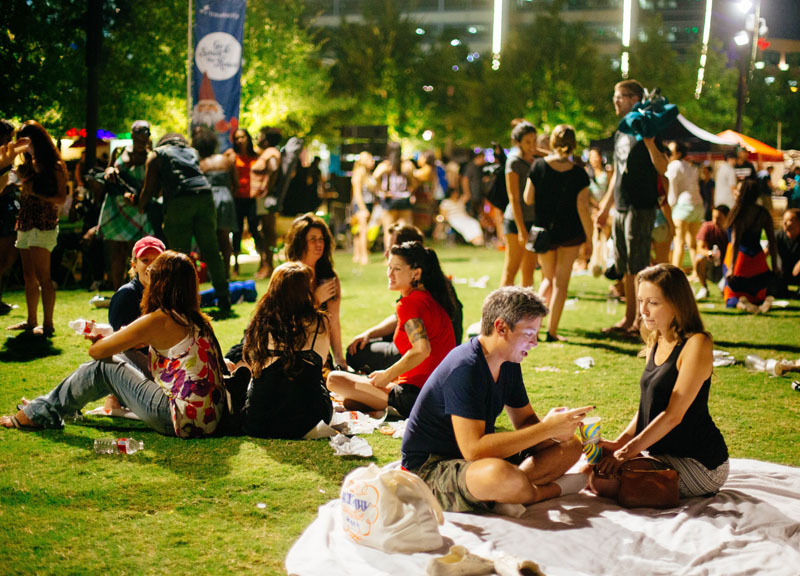 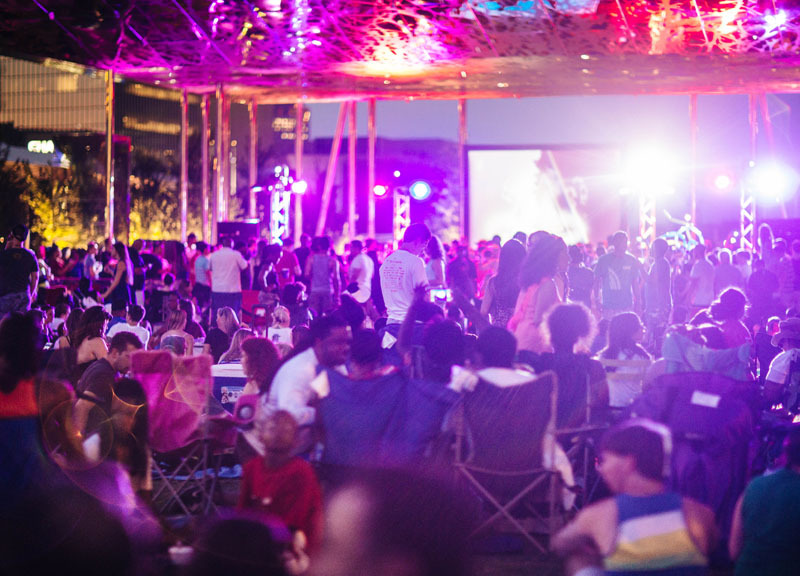 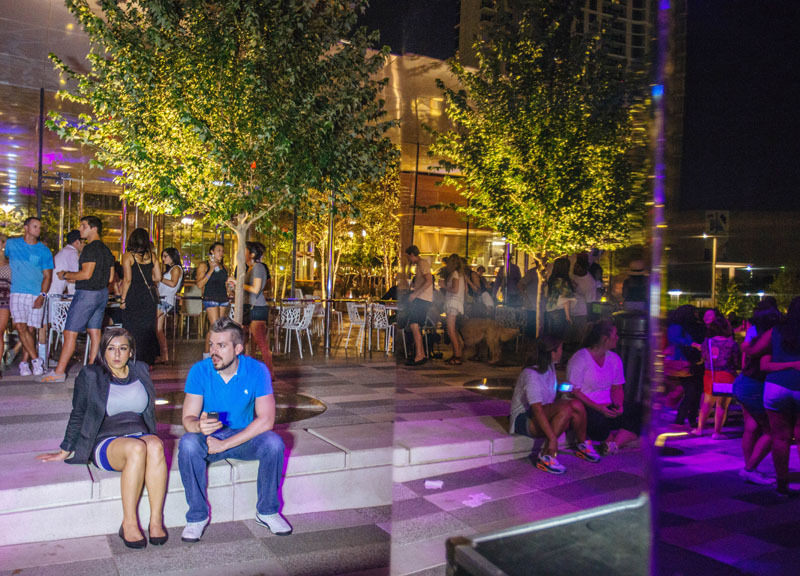 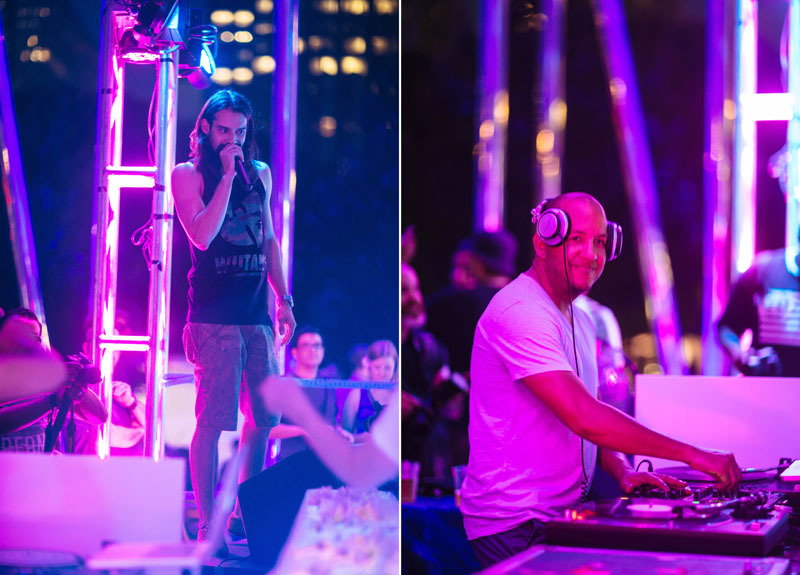 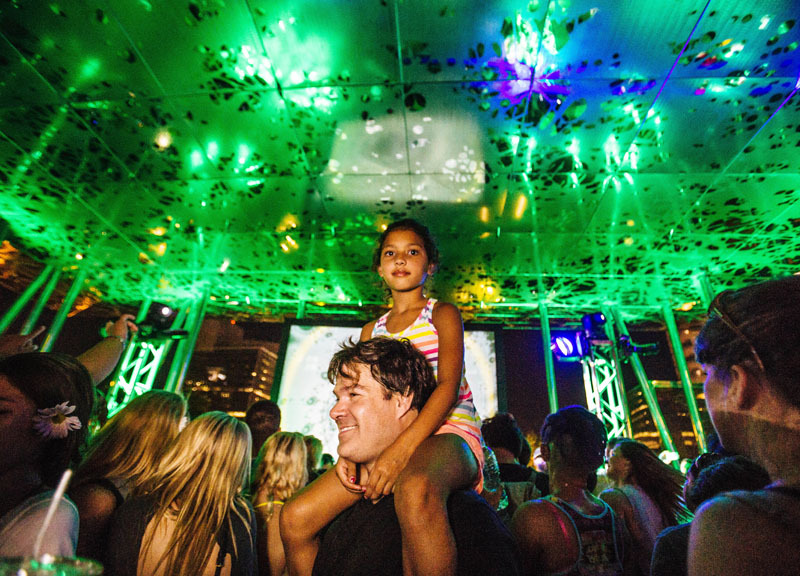 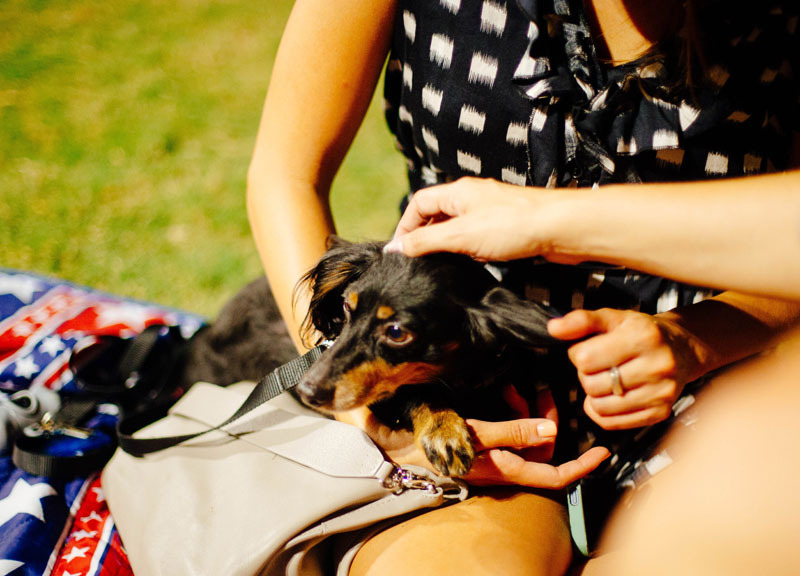 Scenes From Thursday's Free Decks In The Park Dance Party At Klyde Warren Park. 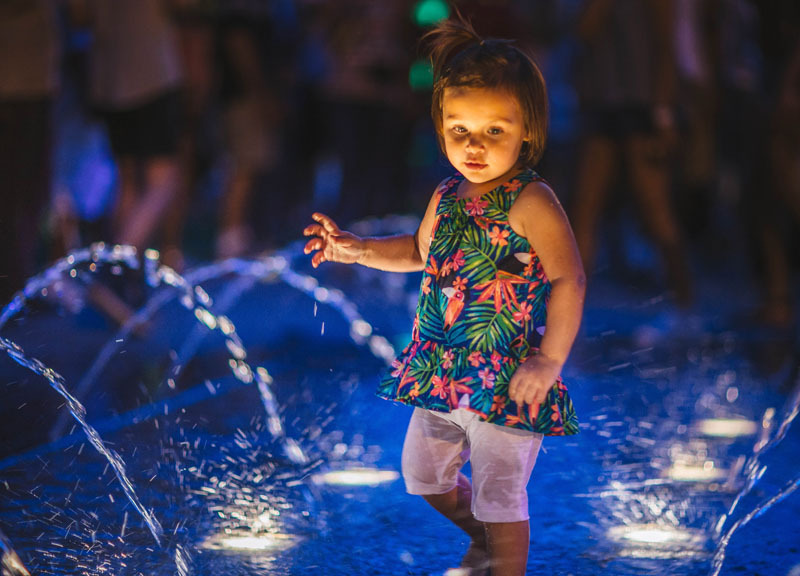 Typically, when one brands an event as “family-friendly,” it usually means it's going to be the kind of thing people with kids will flock to and those without will avoid like the plague. 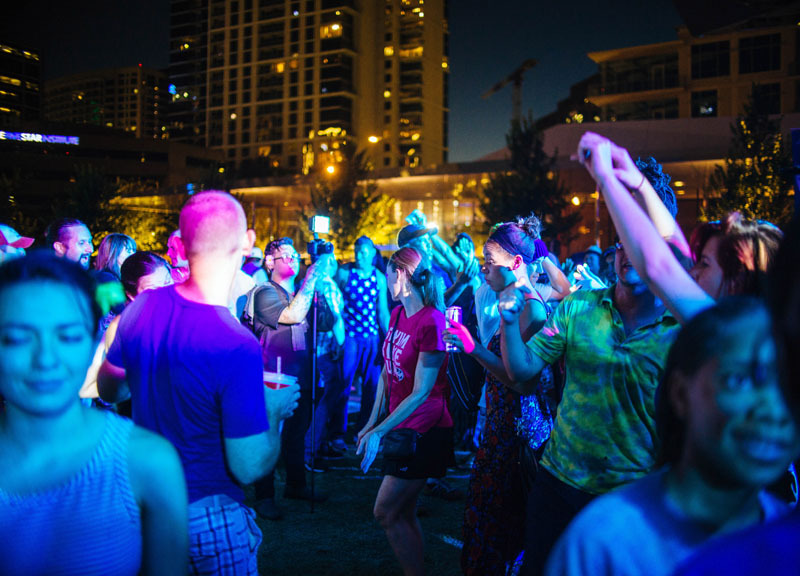 For whatever reason, that doesn't seem to be the case with the free Decks in the Park dance parties held at Klyde Warren Park on the fourth Thursday of every month, which only seem to be growing in popularity each month. 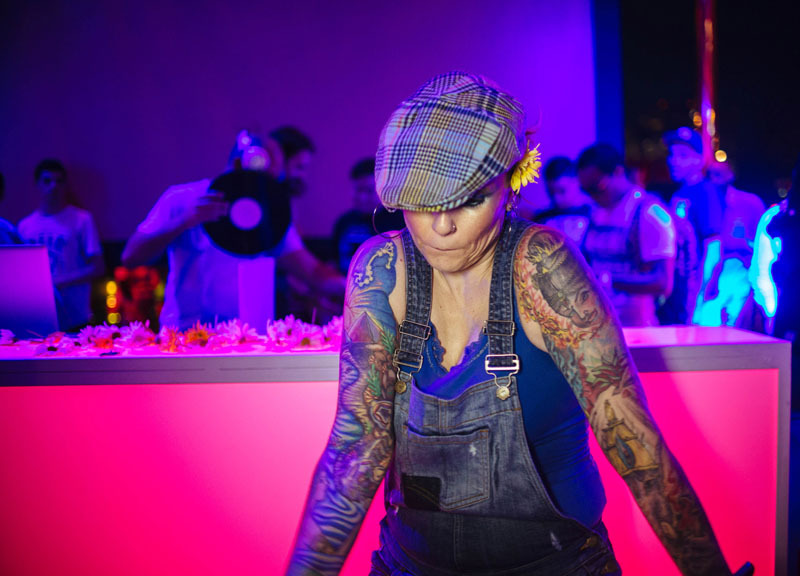 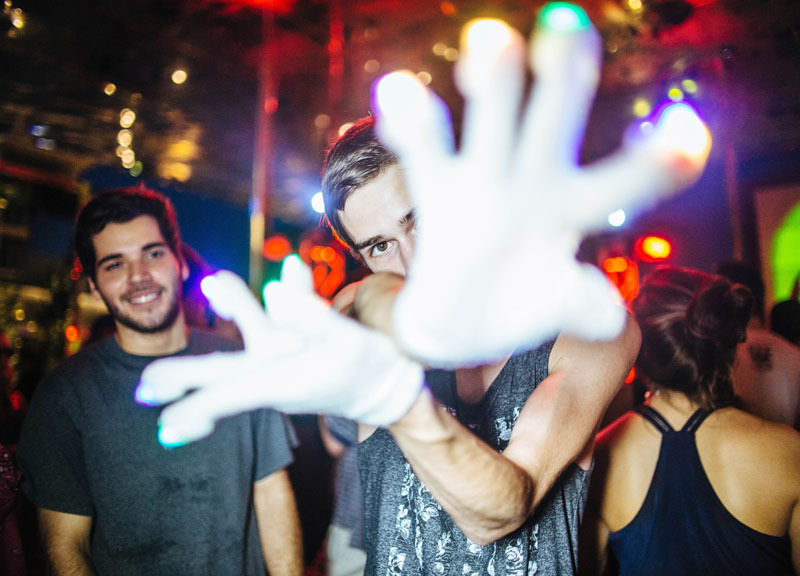 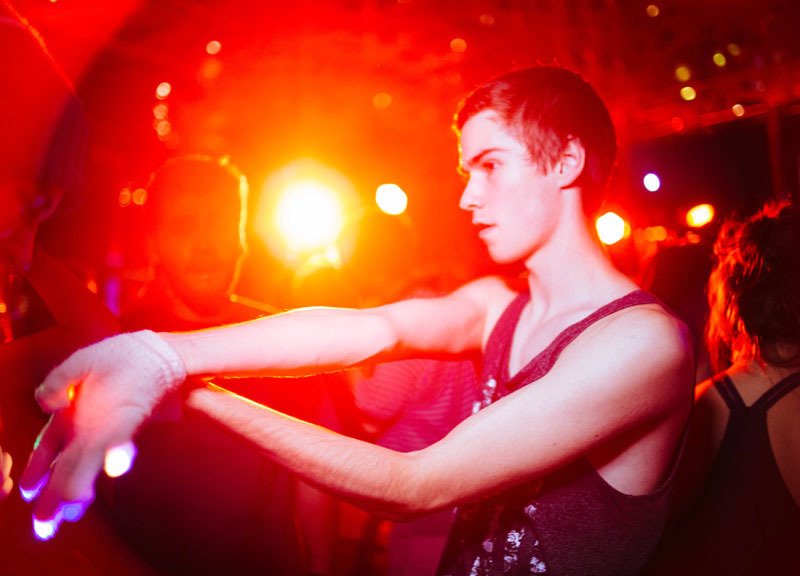 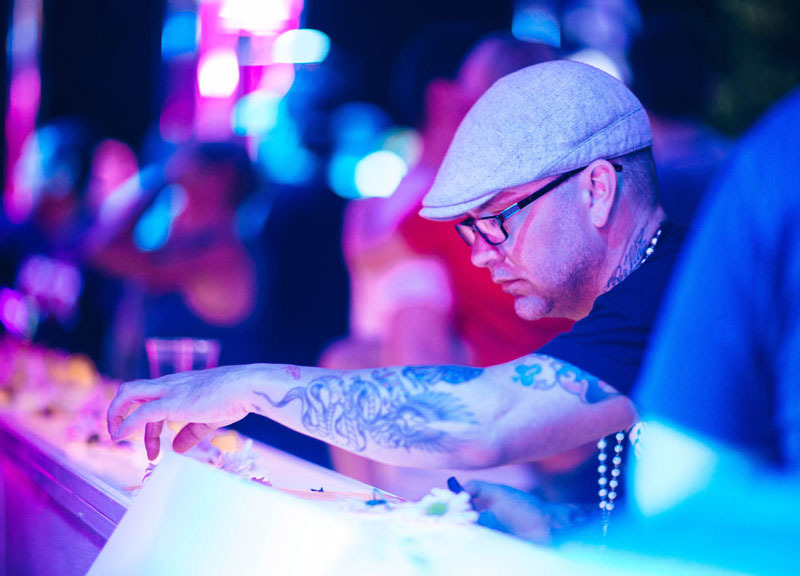 This past Thursday, for instance, more than a thousand party-goers — yes, some of which were kids — made their way to the deck park to dance to DJ sets from Ez Eddie D, Zach Witness, Love, Rob Vaughan and Red Eye. 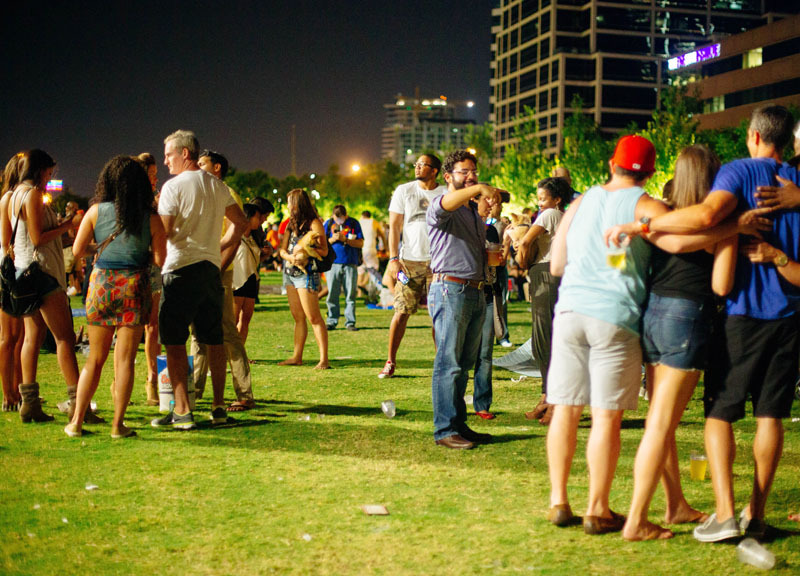 The crowd began showing up an hour before the first needle drop and eventually reached all the way out to the back lawns. 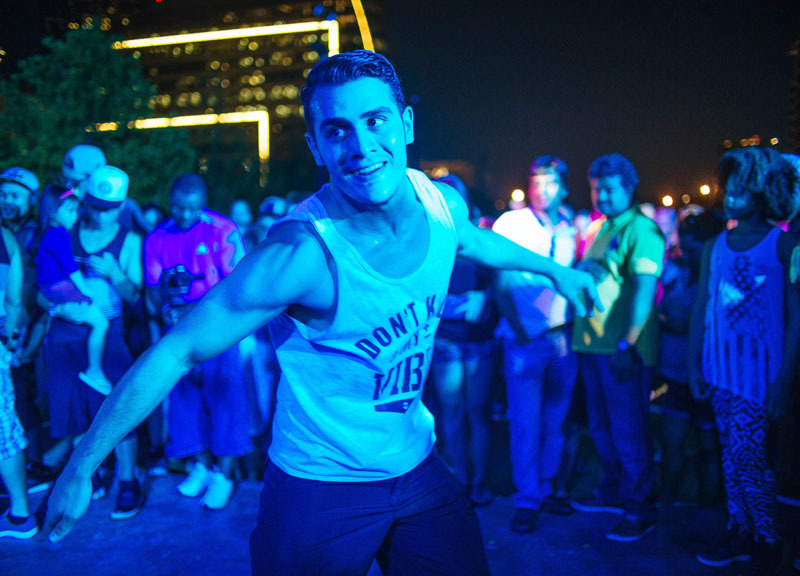 Even the few power shortages did little to deter the extremely diverse crowd's eagerness — or put a damper on your neighbor's weird dance moves. 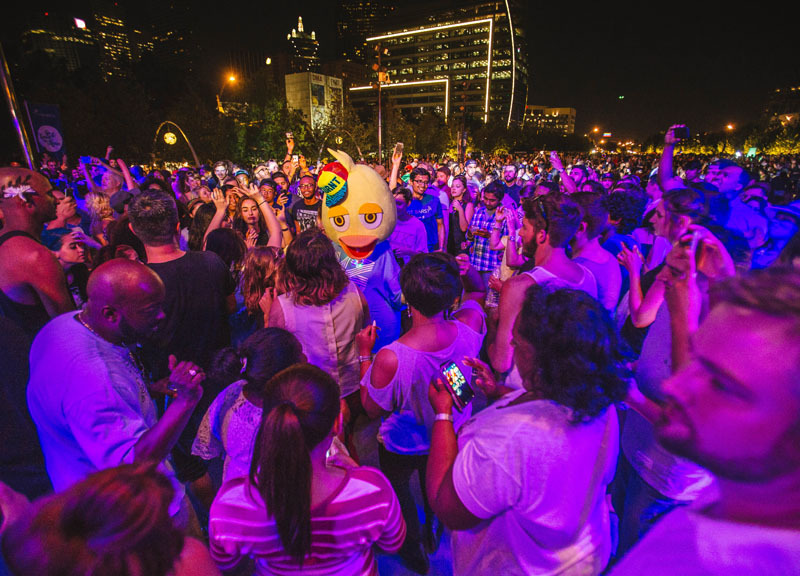 If only these things didn't have to follow the park's rules and shut down early, we could easily imagine them turning into dance marathons stretching deep into the night. 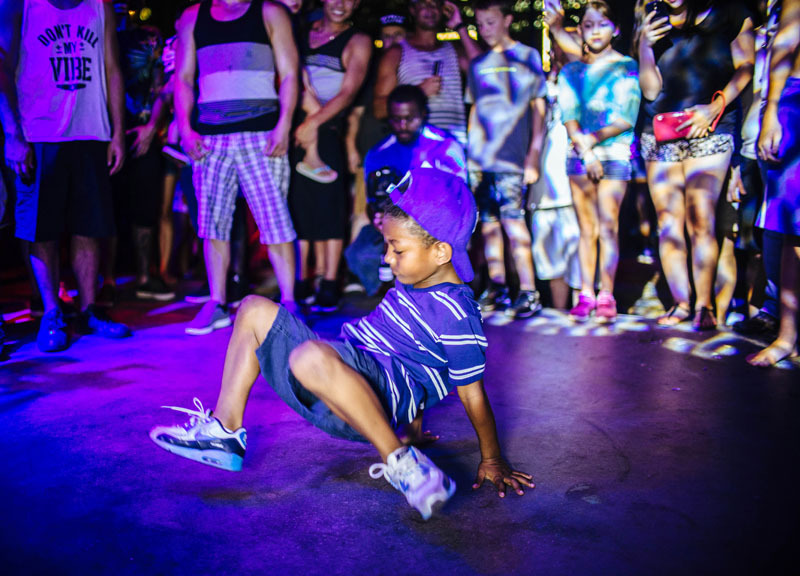 Aside from the kids who might have to bail once their respective bedtimes came, we can't imagine anyone wouldn't be on board with that move.